The one half of the Korean e-Sports El Clasico, KT Rolster is the squad most famous for their incredible pull on star players from other teams. They were often dubbed as the "Real Madrid of professional Brood War" due to their extravagant rosters. Almost all of the notable iconic KT Rolster players started off their careers elsewhere, including TheMarine, Sync, GoodFriend, Flash, YellOw, ChoJJa, Luxury, Reach, and Nal_rA. 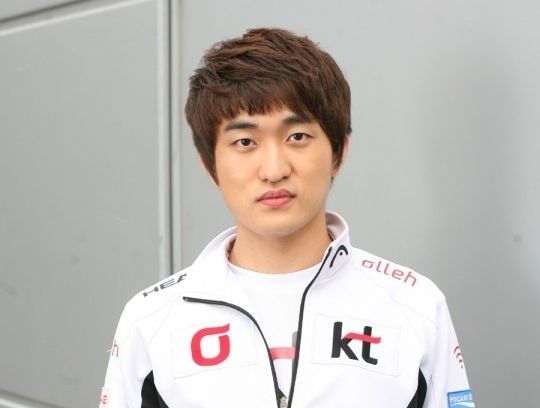 However, they were also historically cursed with incredibly disappointing play-off performances despite being regarded as one of the strongest teams around, and failed to win any ProLeague championships until 2010, when Flash at the peak of his powers was able to hard carry the team to victory. Some said it was a curse that was only lifted after YellOw joined Air Force ACE, and it is indeed odd that KT Rolster never managed to win a single ProLeague championship (however minor, such as the Winners League) while YellOw was active on the team. 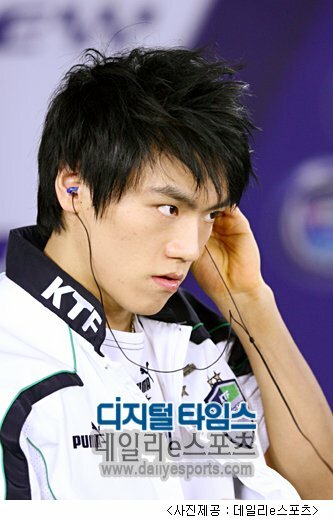 YellOw was someone who started his career in IS (who would later become Hwaseung Oz) and drifted from team to team before finally settling down with KTF MagicNs in 2004 after what was a record breaking contract at the time. YellOw provided his services for KTF MagicNs alongside NaDa during the earliest stages of the ProLeague history, but unlike NaDa, YellOw stayed longer with KTF MagicNs, and earned more one-versus-one victories for the team as the ace player. NaDa did perform better as a ProLeague player during this era, but he was also providing his services for other teams as well, meaning that YellOw was the first iconic ProLeague mercenary for the team. After a fantastic ProLeague performance for Hanbit Stars in 2003, Reach found his new home in KTF MagicNs in 2004, and started where he left off in 2003 by immediately finding his footing as the new ace of KTF MagicNs. However, with the rest of his team not performing up to par, he failed to carry his team into the play-off stages despite boasting an impeccable one-versus-one record, and pairing quite well with YellOw in the two-versus-two games. Nal_rA's ascension to ProLeague superstardom was the main catalyst behind the narrative between SK Telecom T1 and KTF MagicNs, two of the most well funded teams of the professional Brood War scene. SK Telecom T1 and KTF MagicNs formed a fierce rivalry against one another in 2005 was actually driven by two players as far as one-versus-one matches goes, Midas for SK Telecom T1, and Nal_rA for KTF MagicNs. Nal_rA was able to lead his team to an undefeated regular season first place finish (the only team to be able to do so in history) in the first half of the 2005 season, but was thwarted by SK Telecom T1 in the finals time and time again. However, his long term tenure as the one-versus-one ace for KTF MagicNs, and his nine game winning streak for ACE matches (second longest streak in ProLeague history) will never be forgotten. These were the dark years for both the major telecom houses of Brood War, with the hierarchy of the ProLeague teams shifting away from the traditional powerhouses, and newly sponsored teams such as MBC Game HERO and Lecaf Oz finding play-off success. There were rumours of young terran players defeating all these championship winning legends such as Boxer, iloveoov, Reach, and ChoJJa during practice. Canata for the SK Telecom T1 household, and Hery for the KTF MagicNs household. 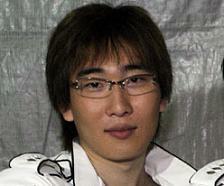 Hery was once a young terran prodigy who joined KTF MagicNs in 2004. His skills during practice was said to be tremendous, and some thought he could be the first non-mercenary player to truly elevate KTF MagicNs to new heights. Sadly, that was not the case, and while Hery did what he could as the new ace of KTF MagicNs during their darkest moments, he failed to replicate any of the magic that was supposed to be happening during practice hours, and faded away into obscurity. After numerous acquisitions, failed attempts at producing home-grown talent, KTF MagicNs was at an all-time low. With Pantech and Curitel Curriors struggling financially, KTF MagicNs recruited their star practice partner, Flash, a young prodigy who was rumoured to be as good as NaDa in terms of raw skill, a legendary veteran player who was still reaching multiple finals in late 2006 to early 2007. It would be a move that would pay off in dividends. Flash was immediately beating everybody during practice the moment he arrived at the KTF MagicNs household, and was improving fast. He did have slight nerve issues initially, but once he found his footing, Flash became the greatest ProLeague player of the modern generation, and after some hard times as the sole ace player of the team, was responsible for the glorious return of KT Rolster as a ProLeague powerhouse. Flash won two major ProLeague championships, and reached the finals of a major championship three times. KT Rolster and SK Telecom T1 faced off against one another numerous times, trading blows, and rekindling the fire to the fierce rivalry that first started to really get going in 2005. What Flash did for KT Rolster cannot be emphasized enough. Although Stats was a worthy player who peaked at top four in terms of ProLeague performances in his best ever seasons, it is not as if Flash had another superstar ProLeague player to help him out. KT Rolster won their only ProLeague championships with Flash, and it is tremendously difficult to think of any player who could have done that in his place, considering even Jaedong at the peak of his powers struggled to single handily carry his deadweight teammates across the finish line. KT Rolster enjoyed their golden years alongside Flash, and luckily for Flash, his peak coincided with YellOw's departure from the KT Rolster household, and he didn't have to fight the will of the gods to deny YellOw any major individual or ProLeague championships. Can you explain more about the providing services for other teams as well? How did that work with mercenary services at that time? The transfer market, and the specifics of how it worked isn't really well recorded. I'll just stick to what I know. YellOw, for instance, started off his professional career by signing with IS (Ideal Space, the team that once held BoxeR, YellOw, and NaDa all at once in 2002), and was later loaned to KTF MagicNs, and briefly returned to Toona SG (one of the teams that branched out from IS). What was left of IS (the team with the most stacked roster in late 2002), was run by coach Cho, the man who would later run the Hwaseung Oz team. That means that until YellOw signed a three year contract with KTF MagicNs in 2004, he actually was bouncing from team to team offering his services. YellOw is not like SoNiC)BlacK, who started out his career at KTF MagicNs as one of the founding members, and is more like the other more well known KT Rolster players such as Reach, Nal_rA, ChoJJa, and Flash, who were all signed by KT Rolster from various teams. NaDa also started out his career at IS, and was loaned off to KTF MagicNs too, but his stay was even shorter than YellOw's and returned to Toona SG (although the name IS was held by the team that would later become Hwaseung Oz, it seems all the former IS players had contractual obligations to Toona SG instead, the team that split from IS to later become WeMade Fox). NaDa remained at Toona SG for the remainder of his professional career. I used to really dislike KT Rolster and their philosophy of buying talent instead of developing talent, but I hold no grudges now, they offered a good environment (relatively speaking) for the top players, and that is a good that I've overlooked initially. However, there is no denying that KT Rolster historically depended more on mercenaries and recruited talent than any other team in history. 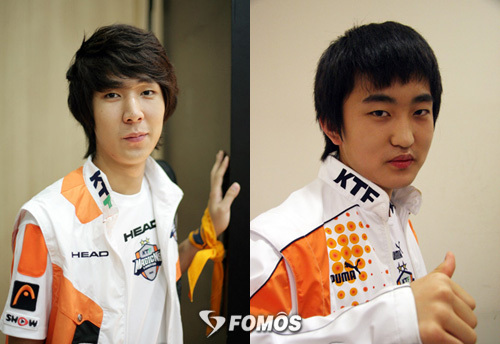 All their ProLeague aces such as YellOw, Reach, Nal_rA, and Flash were talents that they acquired from other teams. The only home-grown talent KT Rolster to have managed to get noticeably good ProLeague records from any era in order to get mentioned in this blog was Hery and Stats, and neither made all that much splash in the individual leagues. Literally every single ProLeague ace for Woongjin Stars, for example, was home-grown talent that the team raised. None of them were acquired talents that started out their careers elsewhere. Even SK Telecom T1, another team that relied heavily on mercenaries, had home-grown talent such as iloveoov, BeSt, and FanTaSy. There isn't a single player who started out their careers on KT Rolster, and managed to even reach the finals of an individual league. In terms of developing players, KT Rolster was easily one of the worst teams in history.